Sequels are tricky, but they’re even trickier when the reboot of a beloved franchise was better than expected and new expectations are much higher. Add a hundred CG apes into it and you’ve got a Summer sequel itching to knock Transformers off it’s high horse. Or transforming T-rex, whatever. With Ape imitator extraordinaire Andy Serkis leading the cast, and a decent human cast at that, Dawn isn’t perfect but it’s got what you need to satisfy your Action/Sci-fi needs. Nearly a decade after the events of Rise of the Planet of the Apes, the world has changed. Apes are thriving in their home with Caesar leading, while humans struggle to survive. But when a group of humans have a way of helping themselves that will take Caesar’s trust, his loyalty is called into question by other, less peaceful apes. Primal fears of both men and ape begin to surface as the truce that’s been set in place is on the verge of collapsing. Oh were there humans in this movie? I hadn’t realized. For all the criticisms of big-budget films (often times, justifiably so), it can’t be denied that the scope of story telling afforded by special effects combined with the right actors and script can give you something previously unseen. How can that be said about the eighth theatrical release of an Apes film? While we’ve seen great acting through the use of CG characters before and even with emotive apes, never to the extent that they become their own characters that feel as flesh-and-blood as the humans around them. 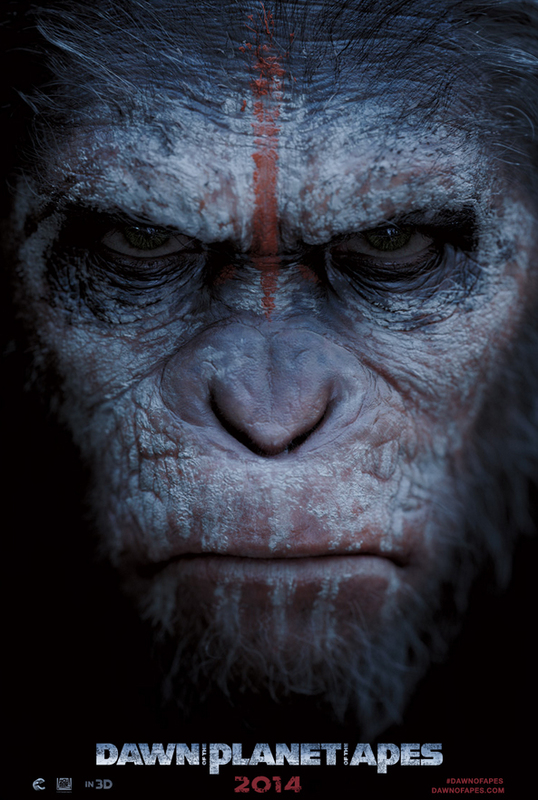 The subtleties of motion-capture professional Andy Serkis are amazingly brought to life as Caesar, the now commanding and powerful ape leader that really does just kinda make you feel like a puny human. Take a hike, Jar Jar! Never forgive, never forget! Problems arise when the stupidity of certain characters is so necessary to the demands of the plot that it drives much of the film. At no point should your audience be rooting for the non-human characters to murder humans but Dawn will bring you to that point at times and not in the way director Matt Reeves may have intended. But in the way that a true sequel should feel, Dawn is darker, deeper, and overall more entertaining than its predecessor. Since it seemed so many critics and audiences initially thought Rise would be a quick cash grab, it would have been easy for the filmmakers to follow in the suit of a film like Wrath of the Titans; a virtual copy of it’s original that made its money but didn’t deserve any of it. Speaking of Wrath, Dawn also stars Toby Kebbell who plays Koba in the film. Who knew all he had to do to step it up was play an ape? But what really makes Dawn stand out aside from the combination of acting and effects are the themes examined throughout. Caesar may have gotten his dream of Apetopia, but that doesn’t mean he gets to keep it. Seeing him struggle as a leader while trying to find a way to keep his hands clean can speak to anyone, from the optimist to the cynic. As mentioned, you’ll be able to pick out a couple things through the course of the film but nothing that will ruin your good time. These apes are NOT named Ape. Positives- Great acting especially by the ape actors, as well as special effects to really bring them to life. Story involving apes is engaging. Fits in well with Apes films while bringing new dramatic elements. Steady tension. Side Note: No post-credits scene. This entry was posted on 07/11/2014 at 3:13 am and is filed under Reviews! with tags Caesar, Dawn of the Planet of the Apes, Good Summer movie, movie review. You can follow any responses to this entry through the RSS 2.0 feed. You can leave a response, or trackback from your own site. It’s true that it was awesome, but having watched it in 3D (Unfortunately), certain shots stuck out enough to throw me off briefly. Overall though, it doesn’t really get any better. As good, sure, but not better.